Why Office Dogs Make For A Great Workplace. Every day more and more employees are arriving at the office after a long walk to work, before grabbing a quick drink and curling up under their desk. No, that’s probably not Jim from accounting catching some below-desk Zs - far too fluffy to be Jim. That’s right, it’s 2018 and more and more dogs are accompanying their human parents to work by the day. 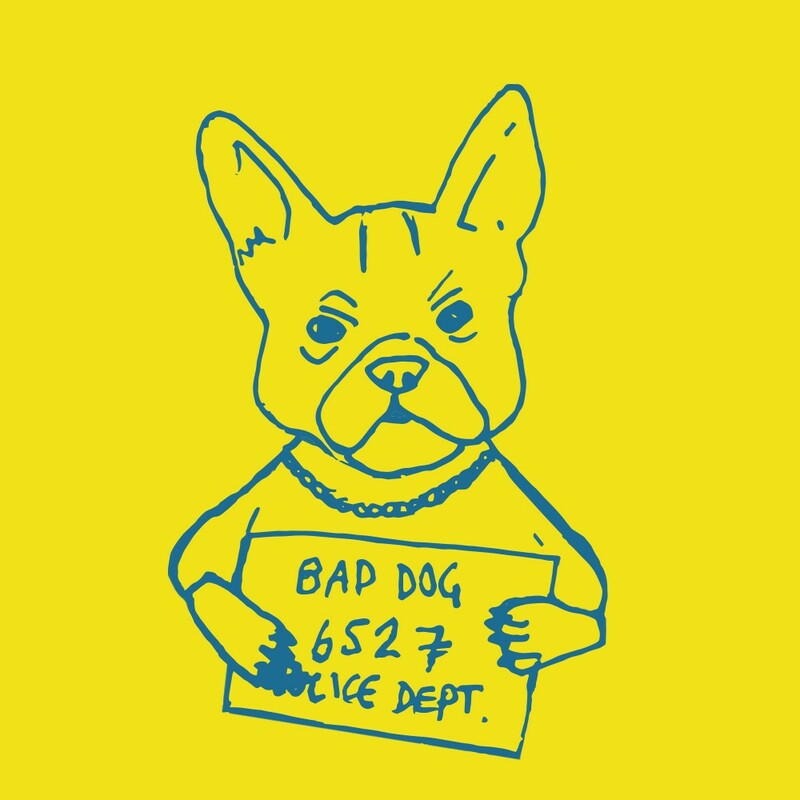 We love seeing dogs in the workplace, but we have to ask, why did this happen? And is it a good thing? Spoiler: It’s a good thing. 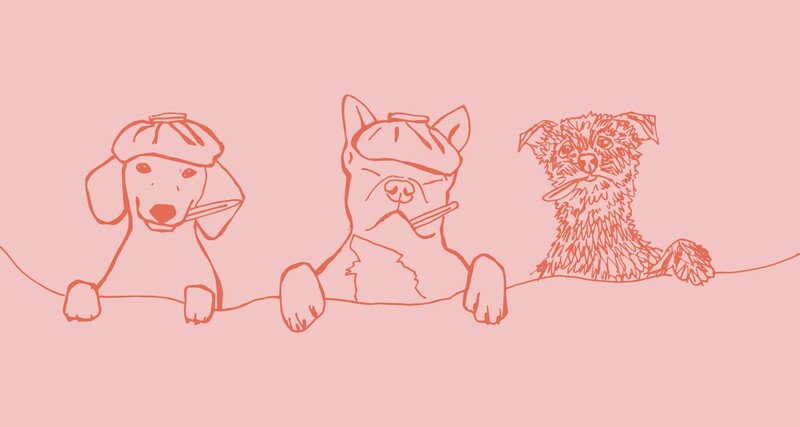 It seems that all of a sudden pretty much every office in Britain has put a dog-friendly policy into action, so let’s take a look at the reasons why office dogs simply make the workplace better. In many ways, our canine colleagues are the pawfect employees: they always show up to work with a smile on their face, bring the team together and are happy to be paid in belly rubs and walkies. In fact, dogs in the workplace benefit the employees in a number of ways. 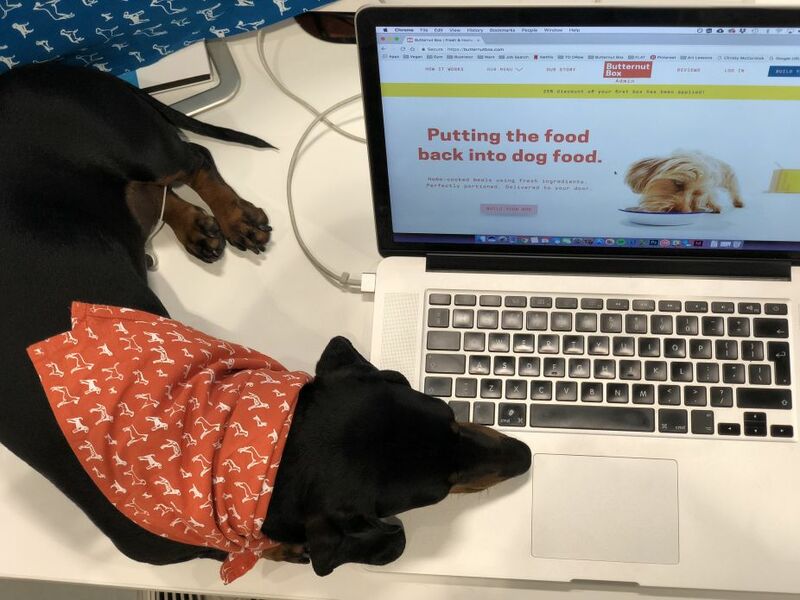 From increasing productivity to getting us moving more, it’s hard to have a ruff day (okay, that’s the last dog pun, we promise) when you’re sharing the office with a loveable pooch. Let’s take a look at the biggest ways in which our four-legged friends can make every day at work a better one. Look, if you’re anything like us, we know that the first time you see a particularly fluffy Pomeranian burst through the office door you probably think that you’re not going to be focussing on your work at all for a solid couple of days. That’s not actually the case. Despite being addicted to that fluffball that’s now sitting two desks down from you, you still need to get paid and studies have shown that having a dog in the office actually makes us more productive. Yep, even though you won’t be able to keep your eyes off them for the first few hours that they’re introduced to you, that dog your colleague brought in will help you to relax and get more work done. We might think we’re doing more when we’re stressed out, but usually you’re just rushing, overthinking and producing low quality work. Having some friendly dogs in the workplace that you can pop over to for a quick pet or five-minute game of tug-of-war will take the pressure off a little, release some much-needed endorphins and give you a far better overall working experience. It’s true that we’re more productive at work when we’re happy. Even the depressive power of the most curmudgeonly boss can be overridden by the drooling face and silky coat of a perpetually happy pooch. Sure, you might be away from your desk more frequently, but when you return you’ll be able to push through the weekly grind with a big, dog-powered grin on your face. Workplaces that prioritise cohesion between their employees are better for everyone. Being friendlier with one another makes us happier, which makes us work better. Plus, having a good relationship with your colleagues helps to make work something you enjoy, not simply a slog that you’re pushing through just to reach the weekend. If you’ve found it hard to get to know your co-workers, then bringing dogs into the workplace may just be the key to a better office environment. Nobody will be able to resist gathering around a professional pooch as they rally the troops. There’s just something about dogs that help us to break down barriers as we all want to get to know them - and each other. They really are quite magical. Beyond that, if you’re in a bigger company, there’s going to be plenty of people you’ve only ever interacted with through email, making working life really impersonal. All it takes is Karen from HR to bring in her pug and suddenly the entire building is effectively on lockdown and everybody knows Karen - or at least her dog. Having dogs in the office means that people get to know each other more than they usually would. So, get out there and get to know Karen (and her dog), you’ll be a lot happier working around people that you know. It’s good petiquette (sorry, you probably thought we were done with the puns) to make sure your dog is office-friendly if you choose to bring them to work with you. That means no aggression, no loud barking and no ‘mess-making’. Of course, the best way to alleviate all of these things is by ensuring that your pooch doesn’t get as bored as you do when you’re pushing through yet another spreadsheet. A few toys and a nice supply of treats may be enough to keep your canine co-workers content for a while, but you’re going to need to take them out for a walk at some point. With two thirds of people now dining ‘al desko’, when lunchtime rolls around it often means a slew of Deliveroo and Uber Eats drivers belling the office. These stationary lunches aren’t doing any of us any good, but once again our dogs are there to be our saviours. Going for a walk at lunchtime is so beneficial for our mental and physical health. Eating that Tesco meal deal wrap while you walk your pup around the park is so much better for you than only moving to the door to pick up your thousandth Nandos meal. With dogs in the workplace you’ll get fitter and feel better just about every lunchtime. So, we’ve made it clear that dogs are certainly beneficial for most of us in the office, but it’s important to remember that we should have at least some boundaries for our four-legged friends. If you’re in charge of settling on a pet policy, remember that some people are allergic, or simply aren’t dog people - it’s hard to believe, but yes they do exist. If possible, consider designating meeting rooms or client waiting areas ‘dog free’ just so that everybody can be comfortable. It’s also important to make sure that your dog would be happy hanging out at the office all day. Maybe have a scheme that ensures that only dogs that have proven themselves to be decidedly ‘office-friendly’ can come to work with their owner. All that socialising, with both people and other dogs simply isn’t in the nature of some dogs, so be sure not to force it. Hopefully we’ve been able to show you the many ways in which dogs can have a positive force on the workplace, so maybe it’s time that you brought your pal to work with you. You’ll feel better, work harder and leave happier, so what are you waiting for? It’s time to take over the office with all of your furry friends. We all know how tiring a hard day at the office can be, and there’s nothing better than coming home to a delicious freshly made meal. Your dogs feel the same, so next time they come home from work, have a Butternut mealwaiting for them to tuck into.